The city of Ferndale may be doubling the amount of money for parking downtown. FERNDALE, Mich. (WXYZ) — Some big changes are coming to Ferndale including a parking garage and a likely change in the cost to park downtown. On Monday night city council meets to discuss a number of issues surrounding Ferndale’s mixed-use parking project known as The dot. The project, which will add 400 parking spaces to a former street lot behind Rosie O’Grady’s, will take 12-15 months to complete. 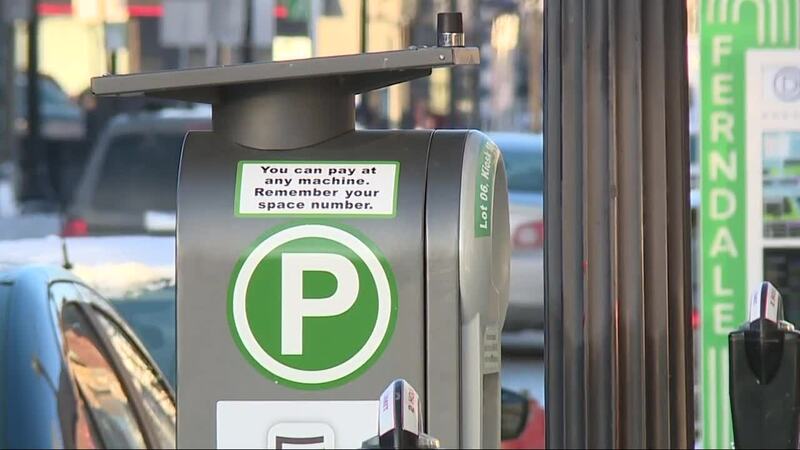 In the meantime, the city has plans to work around a loss of valuable parking spaces. “It’s a big project delivering a lot of infrastructure goals, and a lot of economic goals,” said Joseph Gacioch, Ferndale’s assistant city manager. While the project is moving ahead a number of decisions that will coincide with construction will be decided during the 7 p.m. meeting at city hall including a change in parking rates, a change in the times where paid parking is enforced and bonds associated with construction of Ferndale’s new parking garage. According to the city, the idea to raise parking rates from $.50 an hour to $1 an hour keeps their cost lower than nearby cities, but also gives them the cashflow needed to continue to use parking funds to pay for parking infrastructure in the city. Christian noted it’s hard to walk or bike to downtown to avoid the costs on cold days like we saw last week — others, like Sophia Nathans said she didn’t like it, but she’d pay it to get where she needs to go. The dot, however, will add more to Ferndale than additional parking. The city is hoping by adding a mixed-use development that includes office space on the upper floors, and retails below, that it will add to foot traffic during the day. The goal isn’t to change the look or feel of downtown, but to draw more people to the downtown area which typically sees traffic at night. “We know it’s a little painful at times, but there’s a lot of things we’ve put in place to help calm some of that so people have options and they’re not hunting round for parking spaces all the time,” said Barry Hicks, the executive director of Ferndale’s Downtown Development Agency. Hicks noted they’ve struck a deal with Ferndale First United Methodist to rent 70 parking spaces on Thursday and Friday night. They’ll also be available for parking — free — all day Saturday too. For more details about The dot, you can check out details the DDA has put out: the dot details. . There is also information about how the city plans to work around a loss of parking spaces while they work to add more.